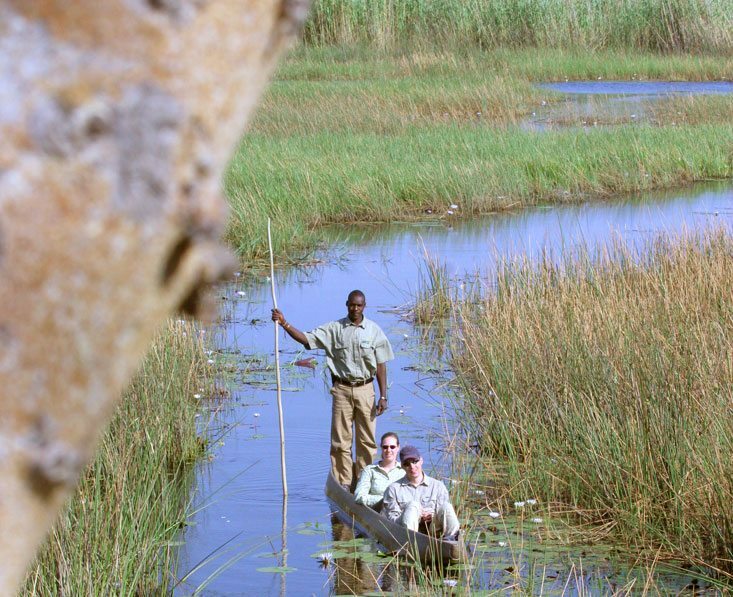 Experience the arid expanse of the desert, watery channels of the Okavango Delta, amazing wildlife, adrenalin-pumping activities at the Falls and awe-inspiring views, while staying in some remote and beautiful locations. This trip really does have it all. 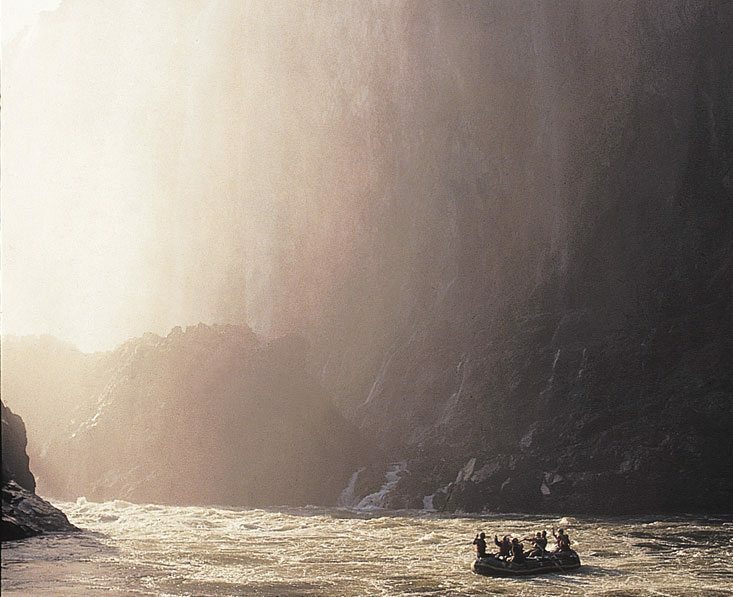 Day 2 Today you will have a full day to explore and enjoy the variety of activities the Victoria Falls area is famous for. It certainly has something for everyone, from the excitement of white water rafting to a serene sunset cruise. 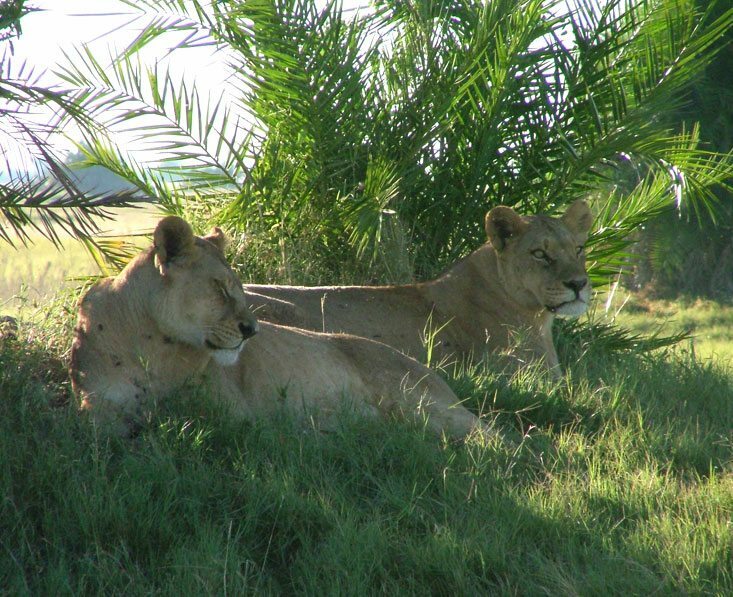 Day 4 A whole day to experience the wildlife of Chobe. 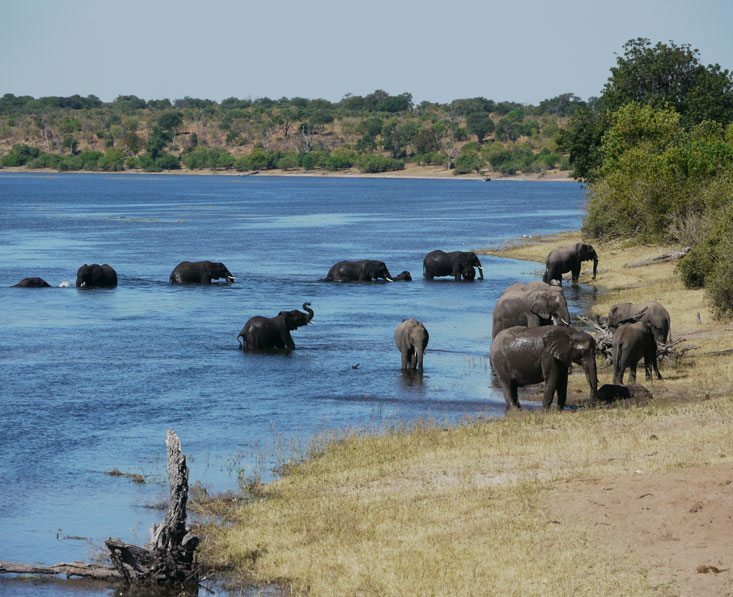 The permanent waters of the Chobe riverfront is a magnet for a wide range of wildlife, and the remote Forest Reserve offers illuminating bush walks and thrilling night drives. 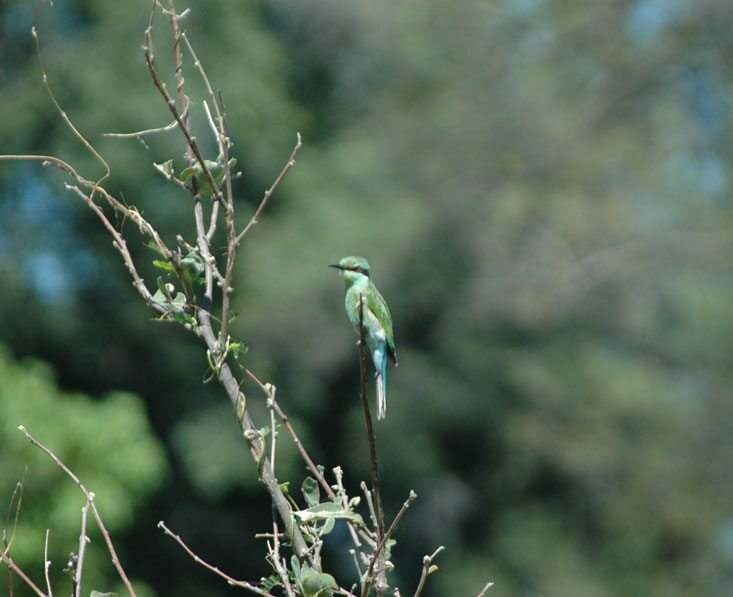 Day 6 The Okavango Delta is a veritable haven for mammals and birds and you’ll have all day to immerse yourself in the environment. 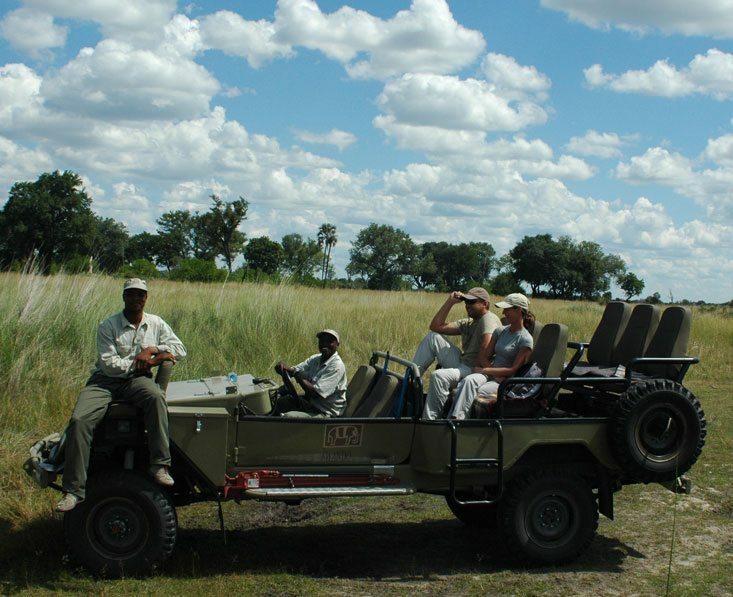 Activities include game drives, guided bush walks, traditional mokoro trips and fishing. You’ll be back in camp for drinks by the fire and dinner under the stars. 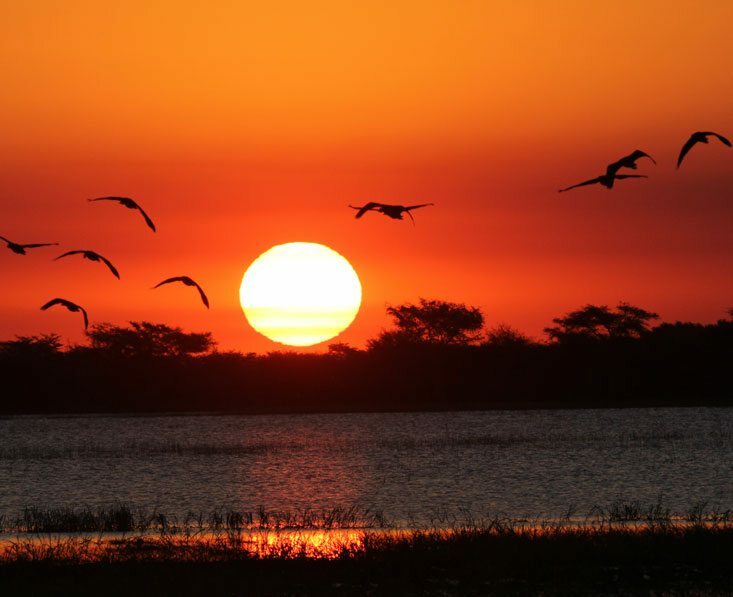 Day 8 You’ll again be spoilt for choice with game drives, walking safaris, mokoro excursions and night rives, all led by expert local guides and each offering an insight into this delta paradise. The tranquillity of the delta and beauty of its winding water ways, open lagoons and tree islands will be a highlight of your safari. 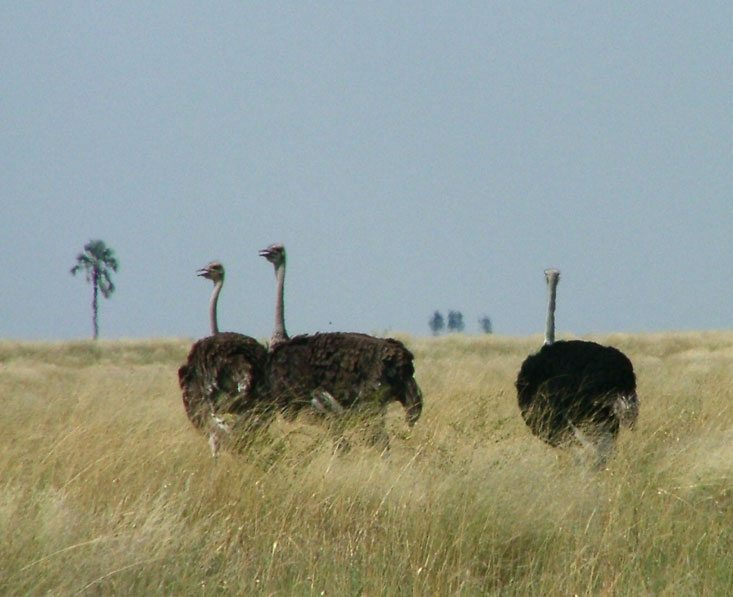 Day 10 The vast Makgadikgadi and Nxai Pans are the last evidence of a prehistoric super lake and today it is a one of the last true wilderness areas left in Africa. You’ll be able to explore in open 4×4 vehicles for wildlife sightings, or take to your feet to for an in-depth nature walk led by a bushman guide. Later, as night falls, you’ll see that this is prefect stargazing territory. 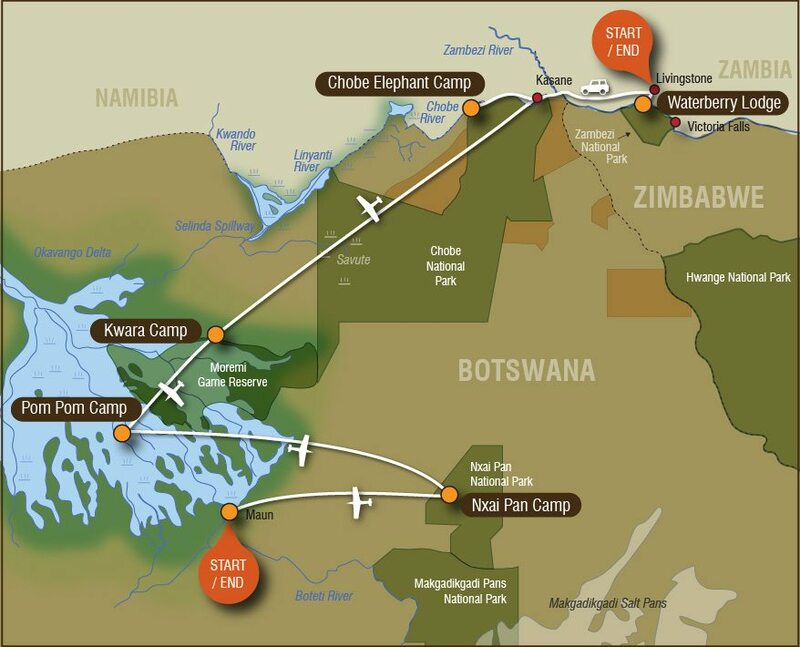 Day 11 After your final morning activity (time permitting) and breakfast you’ll travel by light aircraft to Maun where you will connect to your onward travel arrangements and time to reflect on your rich, enlightening and enjoyable holiday. This trip starts in Livingstone and ends in Maun. From the UK, we recommend getting a flight with a combination of British Airways, Air Botswana and/or South African Airways via Johannnesburg. A rough price guide per person would be £900 – £1400 in economy depending on the season. We can change this trip in any way, from duration to places and accommodation. This will of course affect the price. This holiday can also be done in reverse, starting in Maun and ending in Livingstone. 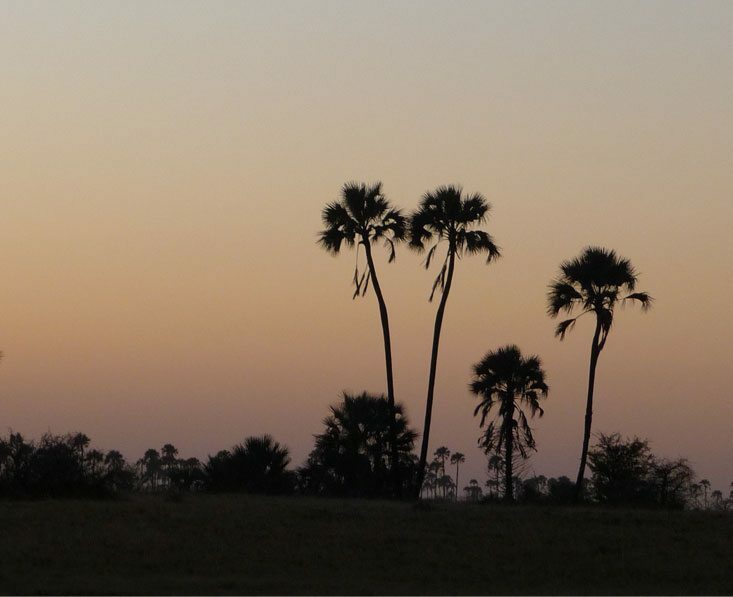 Accommodation, meals, local drinks, road and light aircraft transfers, daily activities on safari, selected activities at the Falls, park and concession fees. Visas, international flights, vaccinations, drinks, lunches & dinners at the Falls, premium drinks on safari, optional activities, travel insurance, items of a personal nature.